One of the things that is so frustrating about getting these injuries from the car wreck is my inability to work out right now. I say frustrating...its really depressing too. I've had my moments this past week breaking down and having a full on pity party. I know the accident could have been so much worse. I have to remind myself that. Gratitude is what I have to focus on. If not, I end up going down this black hole of why me? and I just want my life back! and none of this was my fault! I get my stitches in my right knee out today. I'm hoping for the best and that my knee will be back to normal a few weeks after that. Maybe it will, maybe it won't. Before the accident I was working my way up to my first 5k. I was using the RunDouble fitness app on my phone and I loved it so so much. It linked directly to MyFitnessPal app too, gosh darnit. I'm not sure how everything will turn out now but I want to be hopeful that I can get back to where I was. Even if my knee does fully heal I don't know how running with an arm splint really works and if it will make my wrist swell, etc. I'll try it. In the meantime all of the lovely workout gear makes me miss it even more! I put together a styleboard to calm my nerves. Stay calm and make a styleboard right? Ha! Well check me out gettin' all fancy! 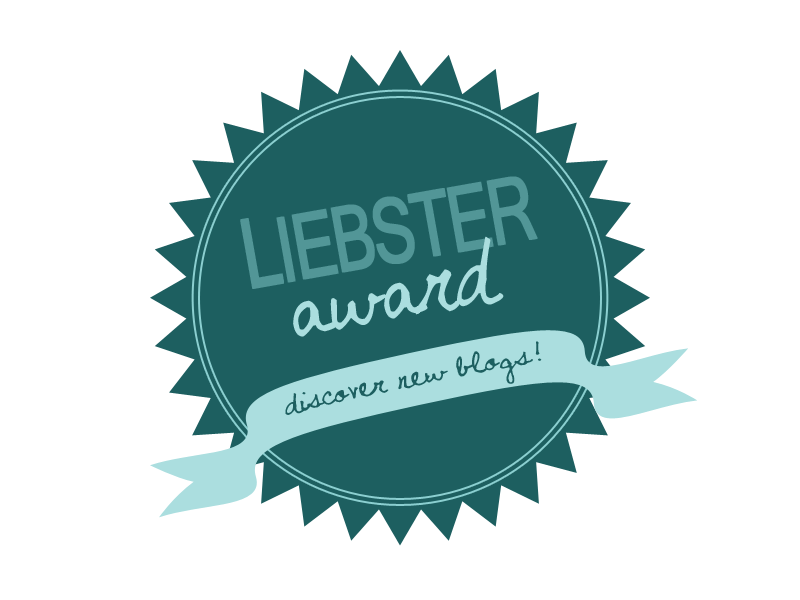 A very sweet fellow blogger Natalie nominated me for a Liebster Award. My first award! 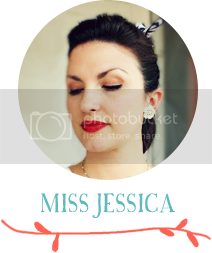 I've seen people with different award buttons on their blogs, but I didn't really know much about it. What happens is; you receive it and then pass on to other bloggers that you love and want to show some love to. The only requirement is that the recipient must have less than 300 followers, so the little guys get to shine! Natalie blogs over at Natalie Patalie and I love her easy DIY's and the fact that she likes musicals. Yes! Head on over there and check her out! Ok...here are the rules, so you'll know which end is up. - Nominee posts award on their blog. - Nominee links back to the nominator’s blog and of course thanks them. - Nominee answers 11 questions nominator ask of them. - Nominee then nominates 11 new bloggers they deem worthy with about 300 followers or less. Make sure to let them know. - Nominee poses 11 questions for their nominees to answer. Alright! Let's get started. Here are the questions Natalie asked me! 2. What's the first thing you'd do if you won 1 million dollars? Buy my dream home which would be an old, white, farmhouse including all farm animals and gardens! 3. What's the best advice someone gave you? Oh goodness! This is a tough one. Probably Jerimiah 29:11 that God has plans to prosper you...to give you hope and a future. When I started recovery for my alcoholism my group leader shared that with me. Great advice for me at the time because I had no idea how to live sober. It gave me hope to know the Big Guy Upstairs had my back. Thrift shopping! Start the day off in a coffee shop with a pastry for breakfast then onto shopping for bargains. Stop for a delicious lunch al fresco style and then onto round two! I would probably do this with my mom because she is such a good thrift shopping partner and we always have such a good time together. 5. What's something you're really passionate about, other than blogging? Being a great mom and wife. I quit my job so that my job could be wife and mom full time. I want to soak up all the memories of my son being this age, taking each moment to appreciate and count my blessings. 6. If you had a theme song for your life, what would it be? Toughie! Only one? I was thinking about this one and was trying to think about my life as a whole. I guess it would be Walking On Broken Glass by Annie Lennox. I feel like I have broken my fair share of "glass" in my life and I have had some broken at no fault of my own. But that doesn't mean I can give up. I feel like each day I am discovering a new obstacle, overcoming another obstacle or just recognizing something that has always been obstacle. Taking it one moment at a time! 7. Who in your life has personally influenced you the most? My mom. She has always given me good advice, she doesn't judge me, she's always choosing the high road and she relies on God, His Word and how to live life as a good solid person. How about... in a nook or a cranny in the Grand Canyon. 10. What stereotypically nasty food do you secretly (or not so secretly) love? Deep fried fish like from Long John Silvers smothered in malt vinegar!!! Also those danishes from vending machines! I haven't had one in years but if someone told me the world was on fire I might go get one before I died. 11. What's your biggest talent? Coordination. It shows in how I run my household, how I keep up our calendar of events, appointments, etc. When I worked I had a job where every other day I had a major deadline. I had to keep a detailed to do list. I think it also shows in my love for fashion too. Putting an outfit together gives me great satisfaction. Before I had this blog or even knew about blogs I would lay out an outfit on the floor and take a photo. Then I would keep it in a little photo album. It would help me know what could go with what in my closet. 2. Who would you take with you with you on that trip from question number 1? 4. Who is your favorite historical figure? 5. What would you like to dress up as for Halloween? 6. Would you go on the game Survivor and why? 7. Do you like ice cream or frozen yogurt? 9. Did you wish you could have or did you ever have an unusual pet? 10. What is your favorite kind of dessert? 11. Who has influenced you the most in your life? We had my son's big birthday party a few weeks ago because of Easter and the weather. Now, since the accident, I am so thankful that we did. His actual birthday was last Thursday. Just a week after my car wreck. There would've been no way I could have pulled off a big party with my knee and being down an arm. I had already planned to have a small family party Thursday night with grandpa and Lala (my mom) stopping by. I had a feeble attempt at a Mario Brothers cake! Ha! It looked like a kindergartner decorated it! I never said I could make a cake with one arm tied behind my back. I definitely did better on his last birthday cake. I told my son "it's not perfect" and he said "Yes it is mom! It's wonderful! It's the best ever!". So there. That's all I wanted. No Pinterest cake here, but little guy loved it. He wanted Mario as his first piece! My dad made a cake too so this birthday boy had two cakes. He felt pretty special. First of all, let me go ahead and burst your bubble. This was a Pinterest Fail. I saw this pin and thought, hey, that looks easy. It was. It just didn't cast shadows on the ceiling like the pin said it would. It was fun to draw it at least. Well guys and gals I have a broken left wrist. I was in a car accident in Wednesday not far from my home. I had just dropped my son off a school and I was heading back home. A lady pulled right out in front of me and unfortunately I hit her. She said that someone had motioned her to come on out. She did. She said she didn't see me. She is ok, she is 84 years old and one of the tiniest little women I've ever seen. I had to be taken by ambulance to the ER because I had a deep cut on my right knee. My chest was hurting from where the airbags deployed and my wrist was hurting too. When we got to the ER they stitched up my knee - 5 stitches - and took some X-rays. No break in my knee or in my chest but my wrist showed a bone chip. We went to the orthopedist yesterday and he confirmed the break. I go back next week for a cast that I have to wear for 6 weeks. Ugh. Oddly enough my chest contusion caused the most pain on day one. It was hard to breathe and I had a lot of swelling. Today my ribs are very sore. I am using a cane to get around until my knee calms down. I can get my stitches out in two weeks. Can I just say though I am a little panicked to get a cast? This temporary one I have on makes me feel trapped and claustrophobic. I don't know how my clothes will fit over it. Hopefully warm weather will come and stay so I can wear short sleeves. Needless to say the fashion blog might be a little lame around these parts! A day in the life of a girl trying to find something to wear over her cast. Oh well. I am thankful my son wasn't with me. Thankful I am not hurt worse. Thankful no car was coming the other way when to was blinded my airbag dust and couldn't breathe from getting punched in the chest. So many things to be thankful for. Now we are cleaning up the mess with the insurance company. The other driver accepted full responsibility. My car is pretty totaled. I should get a rental soon. My car was old and was paid for so this is probably not going to work out in our favor. But like I said. I am still thankful. I hope you hang I there with me. I will be back to fashion soon! Ain't no cast gonna hold me down from enjoying spring and sundresses! Have a wonderful Easter weekend everyone! Here is what it has been looking like around these parts! I do a bit of traditional and a religious decorations because I do celebrate the resurrection of Christ but I also like to have fun with the decorated eggs, bunnies and all those fluffy little things. I do have a duck wearing bunny rabbit ears too. So there's that. I do put heavy emphasis on our religious beliefs more so than the Easter Bunny but we still like to have fun dying eggs and eating chocolate shaped bunnies. I usually do an Easter basket for my son and I think we will do Resurrection Rolls this year too. One of those Pinterest things that is just so easy and so neat! My son put together "Resurrection Eggs" one year in church. I've kept them so we can bring them out each year and go over the story of Good Friday & Easter. I introduced chores to my 6 year old son a few months back but I wanted a better way for him to see what he needed to do and check it off as he finished them. I had a paper chore chart up for a while with just a magnet to hold it onto the fridge. I didn't want to print out a new one each week. Ain't nobody got time for that! So we tried just erasing the checks at the end of the week. That was just as annoying. For my first attempt I tried using a photo frame with the glass still in and spray painting the glass with chalkboard spray paint. I glued magnets to the back. I couldn't get the magnets to hold. I went to the craft store looking for heavy duty magnets and I came across a magnetic printable canvas a little bigger than an 8 x 10. Perfect! Also, did you know you could use a white colored pencil on chalkboard and it won't erase but it looks like white chalk when you write? I saw that on another blog and knew it would work here perfectly. Spray paint the magnetic canvas. I did two coats. 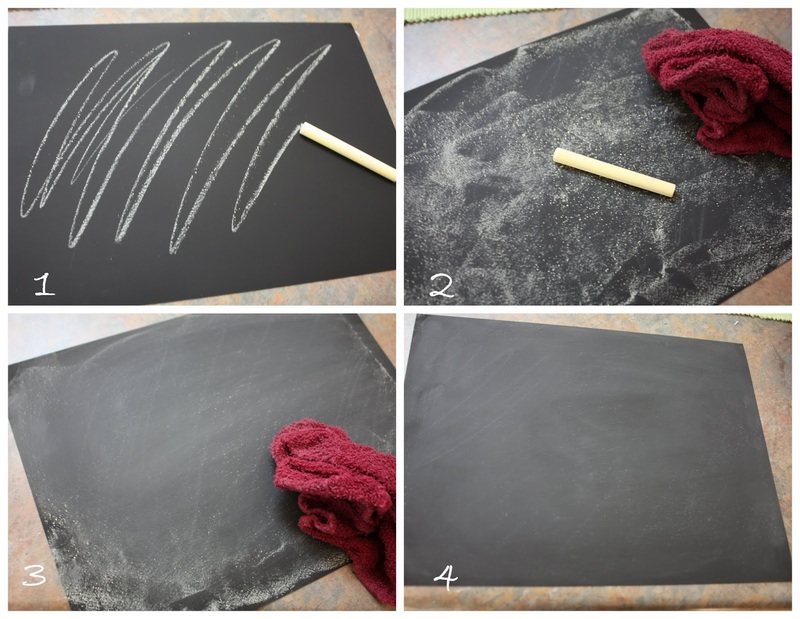 Take a piece of chalk and rub it over the surface to give it more of a used chalkboard look. I mapped out what I wanted it to look like on a piece of paper so I could tweak it if need be. Measure out your grid lines on your chalkboard surface. Use your pencil to make your preliminary mark for your grid. Use your white colored pencil when you are ready to make your permanent lines. Here's where I really need a ruler! It doesn't have to be exact. Just nice and clean so it looks grid-like. Make your title, days of the week letters and chore list with the colored pencil. Don't worry if you make a mistake. Use the pencil eraser and wipe over it with your cloth. I added the twine to the border to give it a little more something to it. Tie a knot at the end to prevent fraying. Use hot glue to hold it down. Finished! It turned out exactly the way I had hoped. His chores are to water and feed the dog daily, dust his bedroom weekly, take out all the bathroom trash weekly and pick up his bath toys after each bath. It's what works for us. It sticks firmly to the fridge. I added a little sliver of magnet (I already had a small piece) with hot glue to the piece of chalk to keep it nearby. Blazer: Walmart (similar), Tunic: Walmart, Jeans: Lee Curvy Skinny, Boots: Dolce Vita (similar) Necklace: ? Buried underneath lots of other photos was this outfit I wore a couple of weeks ago that just never made it on the blog. The weather has taken a turn for the dreary so I will be back in long sleeves for a bit longer. I haven't gotten my summer stuff out of storage yet and now I'm even in less of a hurry to drag them out. It was so nice for my son's birthday party on Saturday and that's all I asked for! I found this pin on Pinterest and decided to give it a try. It was really super easy. Cut the top part off. Wherever you want to start is fine. I didn't want that little pocket in the scarf so I cut right under the pocket. Here's one thing I did NOT do that I wish I would have. I should have cut the hem off the bottom. You'll see what I mean in a minute. Start pulling each piece. This is where I didn't like the little "tabs" on the end from where the hem was. You could add beads at this point or whatever you wanted to do to spice it up. I just kept it plain. This is a pin-win in my book. Easy to do. Took about 5 minutes. No fail recipe. I'm glad I packed a lot of layers for our trip up to the mountains of Tennessee. I definitely needed them. It wasn't uncomfortably cold but there was still a spring chill in the air. On our last night there we decided to go to The Peddler and have a nice steak dinner. I was such a meat eater on this trip! It was crazy. Every time I turned around I was ordering a hamburger, steak or ribs! Yes, I was off the diet for this trip! Our dinner at The Peddler was probably the best dinner I have had in a very long time. Definitely the best steak. And the salad bar was awesome. I got a twice baked potato instead of plain because, well, I'm smart about things like that. No room for dessert but we had cupcakes waiting for us at home! I have a DIY that I will post on how to make this gray scarf. SO easy. Really.